Editor's note: In recent years, the China National Textile and Apparel Federation has been advocating a four-in-one brand value system of â€œquality, innovation, rapid response, and social responsibilityâ€. Today, it has been widely recognized by large and small companies in the industry. In fact, brand building is an inevitable requirement to shift from external pressure to endogenous power. Faced with the uncertainty of the world economic recovery, the textile industry will face a more severe export situation in 2012, and will face greater pressure to maintain rapid growth. Therefore, this year will be the year in which the focus of industry development will accelerate the shift to domestic demand. In a sense, starting domestic demand relies on the government's policy measures, and the development of the market is related to the actual skills of each textile and garment company. China has both a strong production capacity and a vast consumer market. The textile and garment industry is in the process of transforming from "order processing" to "brand management". During this process, the value of the industry has gradually increased, and the inflection point of exports has come and sold domestically. Strong growth will become a catalyst for industry value improvement. In recent years, the China National Textile and Apparel Council has been advocating a four-in-one brand value system of â€œquality, innovation, rapid response, and social responsibilityâ€. Today, it has been widely recognized by large and small companies in the industry. In fact, brand building is an inevitable requirement to shift from external pressure to endogenous power. At the same time, Chinaâ€™s huge domestic demand market has provided support for industrial transformation. On the macro level, with the continuous deepening of the stateâ€™s reform and regulation work, the domestic economy will maintain stable growth, and domestic textile and clothing consumption will also continue to grow. On the micro level, various companies will continue to enhance differentiated competition on the basis of continuously improving product quality and continue to stimulate The growth of domestic demand. Although the uncertainty of the world economy in 2012 has increased and the economic growth is weak, the international competitive advantage of the Chinese textile industry will remain. It is expected that the growth rate of China's textile and apparel exports this year will not be lower than the growth rate of international trade in the same period. According to the China Textile Industry Federation, the overall environment facing the Chinese textile industry this year is still very complicated. The weak recovery of the world economy will have a significant negative impact on consumption. In particular, the developed countries such as the United States and Europe, which are the main consumers of the international market, have experienced weak economic recovery and the unemployment rate remains high, making the international market demand weak. In spite of this, under the increasingly fierce competition in the international market, the Chinese textile industry has a mature and complete industrial system, so it will have a clear competitive advantage in both quality and market share. According to analysis, this year's world economic situation is generally very serious. Uncertainties in the recovery of the world economy have increased and international trade will maintain growth. However, relatively rapid growth will face greater pressure. Although in recent years China's domestic labor costs and resource and environmental costs have continuously increased, the industry chain of China's textile industry is complete and its technological level is advanced, and its advantages in international competition still exist. It is expected that the growth rate of China's textile and apparel exports this year will not be lower than the growth rate of international trade in the same period. Product Category: Nylon Rope, also called Polyamide Rope, made of nylon 6, nylon 66 (polyamide multifilament) fiber, which is woven by two twisting lines and then processed into strands. The rope has high strength and high elongation. Good impact resistance, abrasion resistance, UV and chemical resistance. 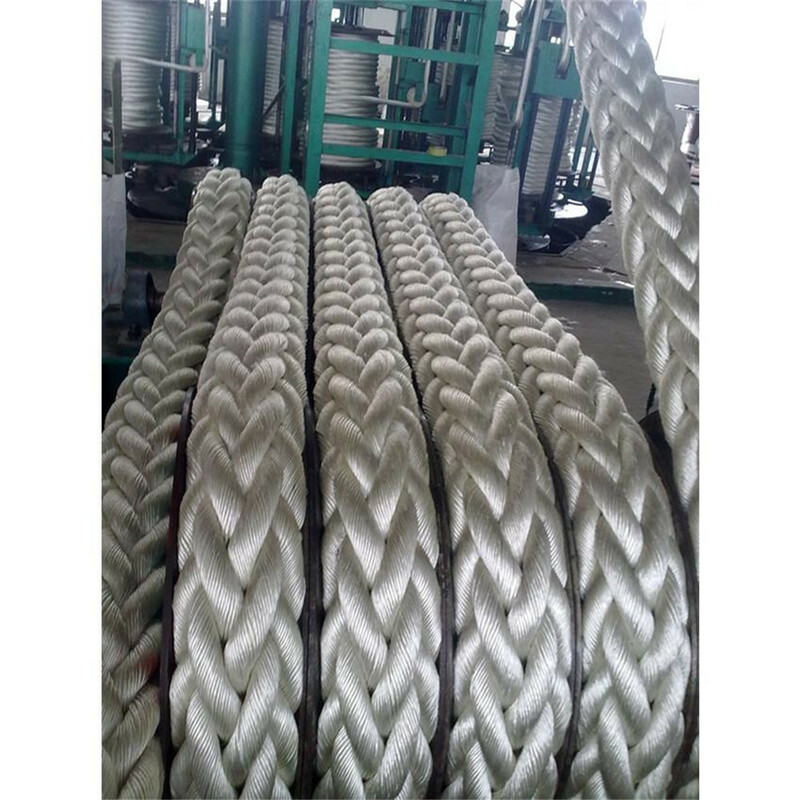 High resilience, when the elongation is 3%, the rebound rate is 100%, long-term use, not easy to fatigue, long service life, There are 3-strand, 8-strand and 12-strand of nylon rope, high-strength nylon (polyamide multifilament) rope, Nylon Double Braided Rope, widely used in large shipbuilding, ocean transportation, heavy industry shipbuilding, warships, streamers, oil exploration, fishing, mining, etc. 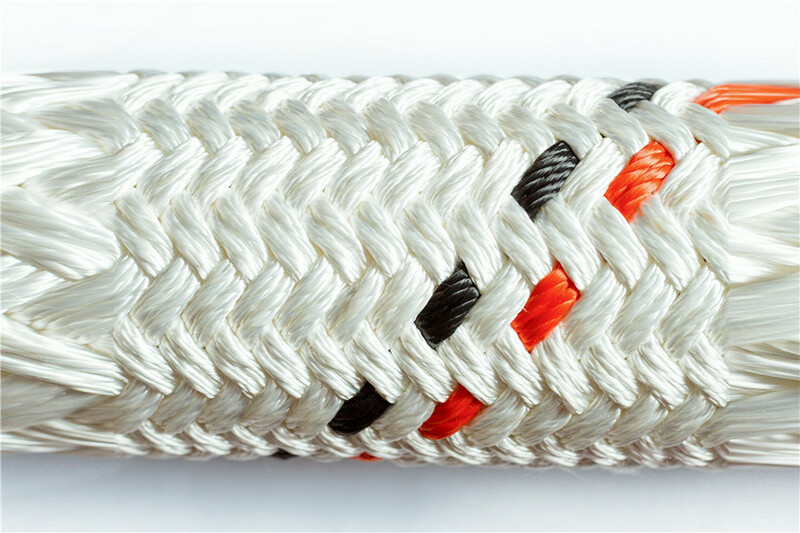 Our company is a relatively large cable manufacturer and wholesaler in China, wholesale high-quality Nylon rope research and development and manufacturing products, we have perfect after-sales service and technical support. Looking forward to your cooperation!